Highlight: The camaraderie among racers and spectators, and the ride through gorgeous forests. Any snowmobile race aficionado would associate a long-standing cross-country race with a bunch of tough men in a state like Minnesota. So it may be a surprise that there’s a 25-year-old cross-country race, specifically for women, in Idaho. The Old Ladies Race, an Idaho tradition, has a new name and different starting location — but the heart of the event is still the same: a women’s race to raise money for charity. Jackson WY • International Pedigree Stage Stop Sled Dog Race and Winter Carnival starts last saturday of January 307-733-3025. Format: Stage Stop—similar to the Tour de France, the race stops in a different town each night.Known as The Dog Friendly Race: Teams rest each night, earning the race the nickname "the dog friendly race." Shriner's All American Cutter Races.Gates open at 10:00 and race begins at 12 noon.Saturday Banquet & Calcutta: 7 p.m. to 10:30 p.m.Contact: Bob Zimmer, 733-4052 / 413-1407 Location info: Melody Ranch Race Track. Bozeman MT • Wild West Winter Fest - Presidents Weekend. This annual event will offer a break from the winter time blues. WinterFest kicks off Friday and runs through Sunday. Some of the activities include horse drawn wagon rides, kid's special Roundup Rodeo, McLien's FFA Farm Barn full of farm animals for the kids and we even have a hockey tournament. There's a Working Horse & Driver Contest and Horse Sale. Dog Events will include Agility, Terrier Races, Conformation, Pet Tricks and a Dog Keg-pulling Contest. Also a Packer's Scramble, Elk Bugling Contest and a Chili Cook-off. and Bootlegger's Ball. There will be plenty of other music for entertainment throughout the weekend. 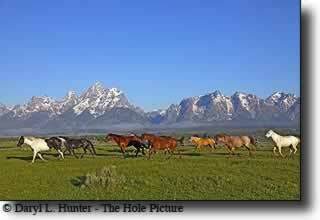 Jackson WY • Cutter Races - Presidents Weekend: Cutters are chariot-like vehicles each pulled by a team of two horses. Spectators line the track to cheer on the teams, place bets on their favorites, and participate in one of the areas biggest tailgate parties of the year. This western version of horse-drawn chariots run teams two abreast for a 1/4 mile down the track to the finish line. But, as is true with many of Jackson Hole's biggest parties, it's all for a good cause - The motto of the event is, "The Cutters run so a child may walk." Cody WY • Annual Water Fall Ice Festival - Presidents Weekend. 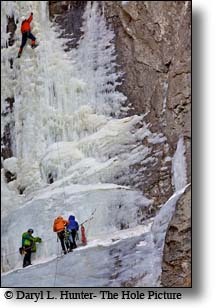 The South Fork ice climbing is like NO other ice in the Northern Rockies. The Valley has literally hundreds of frozen waterfalls each year. Many climbers visit the Valley season after season and still haven't climbed many of the waterfalls here. West Yellowstone MT • Yellowstone Rendezvous Marathon Ski Race. 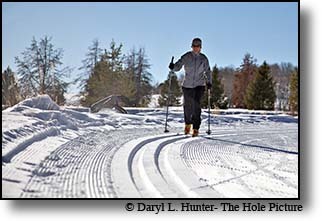 Held on the first Saturday in March on the world-class Rendezvous Ski Trails, this event draws hundreds of cross-country skiers. With the blast of a black powder canon, racers sprint out to compete in a variety of age classes and distances in both classic and freestyle of 5 to 50K lengths. With grooming provided by Yellowstone Track Systems, this is arguably the best track to be found all year. The camaraderie and festive atmosphere have kept this an annual event, now in its 29th. In conjuctions with the Marathon race is the West Yellowstone Youth Festival, Only for kids and sponsored by the West Yellowstone Ski Education Foundation. The Youth Festival is an opportunity for our future Olympians, World Cup Skiers and National Masters competitors to participate in an event that is just for them. A series of fun events such as obstacle course, matched sprints, relay and speed trap are included. www.snowdevils.org Contact: mail@snowdevils.org or 307-734-9653 Location info: Snow King Mountain. Pocatello ID • Dodge National Circuit Finals Rodeo - Starts middle Wednesday in March check webstite for exact times. West Yellowstone Montana • April 1-16 is Spring Cycle Days in Yellowstone. 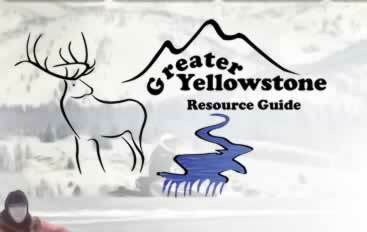 Enjoy Yellowstone before the roads open to motorized travel. Ride in Yellowstone for free. It's a perfect way to spend a day. From West Yellowstone you can ride to Madison Junction and then to the Grand Canyon of the Yellowstone or Mammoth Hot Springs (the road between Madison and Old Faithful remains closed until April 18th) . Feet and Roller blades are welcome, too. "Conditions allowing"
Teton Valley • SpudFest third week in April, SpudFest celebrates the best of the independent filmmakers making family movies. Our festival gives you and your family the opportunity to be entertained, enlightened and moved by films that deal with the issues of your own lives. more info. Drummond Idaho • Ft. Henry Buckskinners Mountain Man Rendezvous - First weekend in June Check for Dates. Relive the days of the mountain man and the early trappers who chiseled their names on rocks in the Conant Valley nearly 200 years ago. The annual Ft. Henry Buckskinners Mountain Man Rendezvous offers the opportunity to do just that at the site of the first known white encampment in what would become Idaho. The Fort Henry Rendezvous will be June 6-10 on the Finlandia Ranch east of Drummond. Take S.H. 32 from Ashton or Tetonia and follow the signs to the camp site. The Rendezvous is open to visitors during the day, starting at sun-up, but closed at 6 p.m. to those in period-correct clothing. Alpine WY • Mountain Days Celebration -third weekend in June - The "MOUNTAIN DAYS" three-day fun-filled event attracts tourists from all over! Arts & Crafts as well as Fine Arts and Commercial Booths occupy the grounds of the Royal Resort (former Alpen Haus) at the Junction of Highways 89 and 26. The Craft Booths and Commercial areas will be separate but both adjoin the popular 1800's authentic Pioneer Village which is the focus of activities. Cody WY • The Buffalo Bill Cody Stampede Rodeo is the 1-4th of July each year: http://www.codystampederodeo.com - Top cowboys from across the continent come to Cody, WY for the Buffalo Bill Cody Stampede Rodeo, one of rodeo's crown jewels that contestants often call "Cowboy Christmas". For top cowboy and cowgirl contestants, this is the place to win big purses and ride the best stock. Jackson WY • Grand Teton Music Festival - July to August. Experience one of the world’s great music festivals when visiting Jackson Hole. 200-member resident company - a true "all-star" ensemble. Walk Festival Hall, Teton Village. Call the GTMF ticket office at 733-1128. Rexburg ID • Idaho International Dance Festival - Dance directors and team chaperones, who accompanied a folk dance team from Rexburg's Brigham Young University-Idaho on a European dance festival tour in 1983, observed the festivals they were participating in and decided they could put on a festival in America. Bozeman MT • Sweet Pea Festival Of The Arts - First Week of August. Sweet Pea A Festival of the Arts. Born out of a community's desire to celebrate the arts. In existence today due to the community's desire to continue to celebrate the arts and all that they add to our lives. Star Valley WY • Lincoln County Fair starts first weekend of August. Livingston • Park County Fair - Second Week of August. For many Park County families, the fair is one of the biggest events of the year. The annual Park County Fair gets better every year. While agriculture is still a large part of classic Montana fairs, this year’s Park County gathering - the 60th - carries a bunch of events that have both rural and city influences. For more information, write to the Park County Fair, Box 146, Livingston MT 59047, or call (406) 222-4185. Grand Targhee WY • Grand Targhee Bluegrass Festival the second weekend in August more info. Teton Valley • Teton Valley Fair second week in August contact Teton Co. Agriculture Dept. 354-2961 for more information. Big Piney WY • Sublette County Fair - End of August into September. Traditional county fair with livestock, carnival, stage acts, 4H competition and lots of food and fun. Jackson Hole One Fly Competetion• The Jackson Hole One Fly Event is a celebration of fly fishing dedicated to the betterment of trout and trout habitat. Held the first weekend in September. Blackfoot ID • Eastern Idaho State Fair - Starts Labor Day Weekend and runs through the following Sunday. More Info Eastern Idaho State Fair website. A sponsor of the Jackson Fall Arts Festival. This is an international juried exhibition, sale from over thirty highly selected Western and Wildlife Artists from Canada and the United States. This show features painting, wood carving and bronze sculpture from national award winning artists such as: Mari Bolen, Michele Kapor, Cynthie Fisher, Diane Greenwood, Loren Pinski, Maria A. Ryan, J.R. Eason, Vern Russell, Elene Weege, Pat Schermerhorn, John Kessler, Jenny Schmalsteig, John Peterson, Mark Butler, Shane Duekersen , Donna George, Marann Eikens, Jessie Myyrick, Greita and Linda Krisjansas, Fred Kingwill, Truong Buu Giam and more. Artwork ranges from $1,000 to over $5,000 per item. 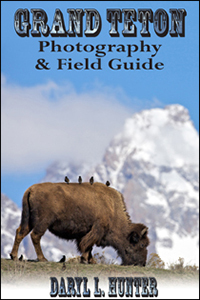 An evening reception and sale to benefit for the Jackson Hole Conservation Alliance, The Nature Conservancy in Wyoming and the Wyoming Wilderness Association takes place in the Snow King Ballroom on Saturday evening between 5:00-7:00 PM. During this time artists will donate 25% of sales to these selected conservation and wildlife groups. Jackson WY • Fall Arts Festival second weekend of September. The Jackson Hole Fall Arts Festival is widely recognized as one of the premier cultural events in the mountain west, the Jackson Hole Fall Arts Festival draws thousands of visitors each year. Contact: Jackson Hole Chamber of Commerce at 307-733-3316 or see website. 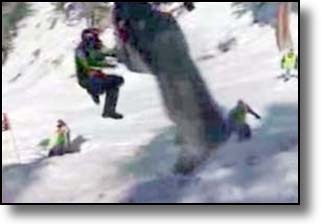 West Yellowstone MT • Yellowstone Ski Festival - Thanksgiving Weekend. For over 29 + years, cross country skiers from across North America and around the world have traveled to West Yellowstone, Montana’s Yellowstone Ski Festival to begin their Nordic ski season on the Rendezvous Ski Trails. Traditionally, the Yellowstone Ski Festival takes place during Thanksgiving week and this year will be no different. nual Unique Boutique Craft Fair, It is the Unique Boutique Craft Fair which is held each year the Saturday before Thanksgiving. This is the areas largest and longest running Craft Fair in Idaho Falls. It gets a huge crowd. It is one of the events in Idaho Falls that kicks off the Christmas Season. Held at Bonnevillle High School (3165 Iona Road) In Idaho Falls, ID From 9 a.m. to 5 p.m. Over 120 vendors thousands of handcrafted items. Event is held in the commons area, the gym and the cafateria. Annual Jacob Grant Hunger Drive • (Idaho Falls) As part of our ongoing commitment to giving back to the Idaho Falls community, Jacob Grant Property Management will be hosting it's first Annual Hunger Drive on December 19th. We will match each canned food donation with the goal of reaching 1,000 canned food items. All proceeds will be donated to The Idaho Foodbank's Bonneville county branch. Pinedale Wy • The Green River Rondy Sled Dog Race - Last week in December. 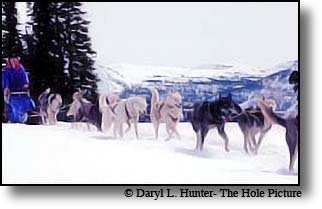 The first Green River Rondy Sled Dog Race was held in 2000. The race was back for another New Year's celebration, held Saturday and Sunday, December 30 & 31, 2006. It promised to be two days of great fun on the scenic Green River north of Pinedale, Wyoming — and delivered!